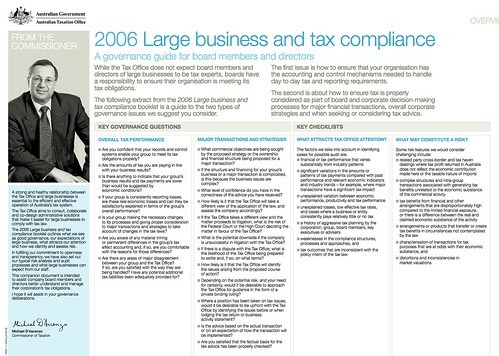 I’ve just run across this nice cheat sheet by the ATO – a tax governance guide for directors of large companies. It’s got some handy hints for directors of smaller companies as well. 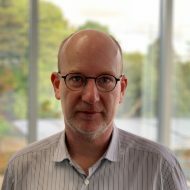 I maintain that at least one person on each board needs to understand this stuff well, and that everyone on the board should be asking similar questions to those on the ATO’s list. The first issue is how to ensure that your organisation has the accounting and control mechanisms needed to handle day to day tax and reporting requirements. The second is about how to ensure tax is properly considered as part of board and corporate decision-making processes for major financial transactions, overall corporate strategies and when seeking or considering tax advice.